Dental implants in Algeria and high quality dental care. Ardentys, a dental clinic, specializing in dental implants in Algeria, is located in Ouled Fayet, Algiers. Care quality and confidentiality are the strengths of our Dental Clinic. 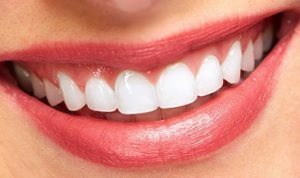 We propose to improve your dental health and the aesthetics of your smile through providing the latest generation of care while meeting your needs. Our dentists, accompanied by qualified dental assistants, carry out highly technical treatments. In perfect harmony with the scientific progress of the profession, particularly dental implant in Algeria, prosthesis and other aesthetic care. Thus, our practice covers a broad spectrum, from oral control to the most complex treatments: conventional dental care, implantology, orthodontics and cosmetic dentistry. The diversity and complementarity of these disciplines allow us to offer a comprehensive and personalized care to each of our patients. All this while prioritizing the sessions care comfort and the safety of our therapeutic acts. Our medical staff is constantly trained in the most advanced technologies in dental implants domaine in Algeria seeking to offer our patients a range of treatments best suited to their needs. Getting healthy teeth and a beautiful smile is important. For one or the other we are at your disposal to bring you a pure aesthetic to your teeth. We are here to make you smile again. Do not hesitate to contact us if you have any questions, we are waiting for you: Contact Ardentys. contact ardentys. It is with pleasure that I thank you, Dr. Chalabi, for the care quality and the accomplished work. My children: Nadhem, Faiza, Choumaissa, Besma, my wife and I are all satisfied. Thank you once again and thank you to the team in charge of the appointments. Very welcome, caring, clean. I feel good. Simply great! There is no reason why should we envy foreign dentists, and I assure you that I do not choose my words carefully. Starting from the reception (pleasant staff, smiling,..) to Dr. ADHIMENE’s care, who is very professional and meticulous, we feel that this person loves his job..